If you are like most people you probably have more responsibilities than you do time to fulfill them. That being the case, when a product comes around that promises to save a little bit of time and make a task like cooking simpler it’s worth taking a look at. Today we will be taking a look at just such a product as we explore the features of the Instant Pot Max. So, What is Instant Pox Max? 0.1 So, What is Instant Pox Max? 2.1 Is this product safe? 2.2 How Long Does The Cooker Take to Come To Pressure? 2.3 How Much Water Do I need to Use? The amount of water that you need to use is another important thing to consider. The Instant Pot Max uses steam to create pressure, and of course, it uses water to create steam. How much water you use is ultimately going to depend on what you are making, but it could be as much as several cups. Do make sure that you use an appropriate amount, as running the pressure cooker without enough water can damage the appliance. What is the Difference Between A Slow Cooker and a Pressure Cooker? If you pay attention to the world of cooking gadgets and appliances, you might already have heard of the Instant Pot Max. It has gained a lot of popularity recently, and with good reason. 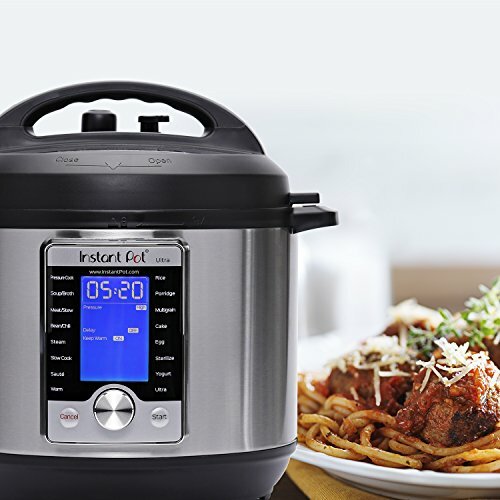 This product represents the next generation of pressure cookers and comes with a load of unique features that make cooking and food preparation simple and easy. If you want an appliance that allows you to make things like “prep and forget risotto” — as well as tons of other dishes this is definitely the product to consider. Let’s now take an in-depth look at some of this unique product’s features to see if it right for you. 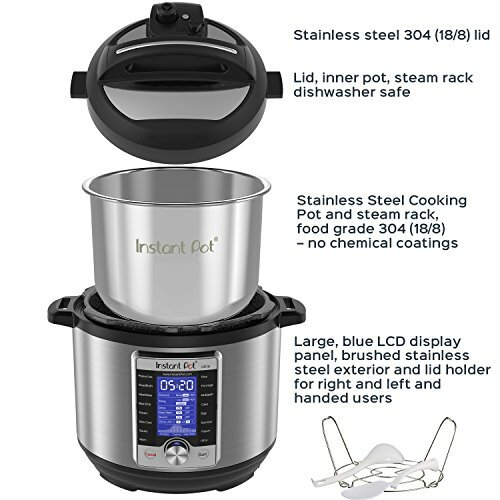 Here are some of the features that set the instant pot max from other, similar products that have hit the market. If you are into home canning, you are in luck. The Instant Pot Max is projected to be able to facilitate the preservation of some of your favorite low acid content foods. It’s a great and extremely convenient bonus feature for people that will be able to take advantage of it. For the busy person, there is definitely a big premium on a product that is able to do something a little bit faster. 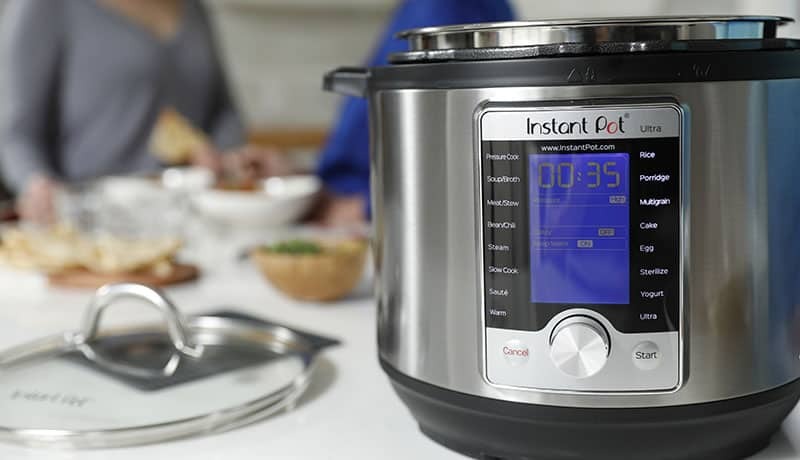 This product is capable of delivering a staggering fifteen pounds of pressure per square inch to whatever you put in it, a feature that Instant Pot promises will cook ingredients fifteen percent faster than the traditional cook time that has been demonstrated by their other products. This increased level of pressure is also the component that permits the home canning we talked about in the last heading. 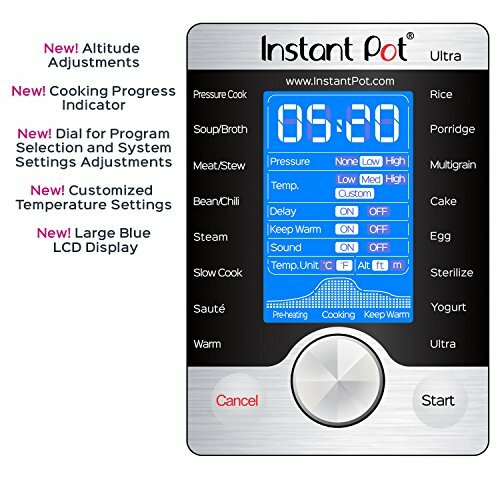 The screen probably isn’t going to be a make or break feature for most buyers but nevertheless, it is worth noting that Instant Pot has upgraded the screen on this model relative to previous versions of the product. This touch screen is LED backlit and features a user-friendly interface that everyone should have no trouble using. What really makes this product valuable is its indisputable utility. You can do things with the Instant Pot Max that you just aren’t going to be able to achieve with any other product. 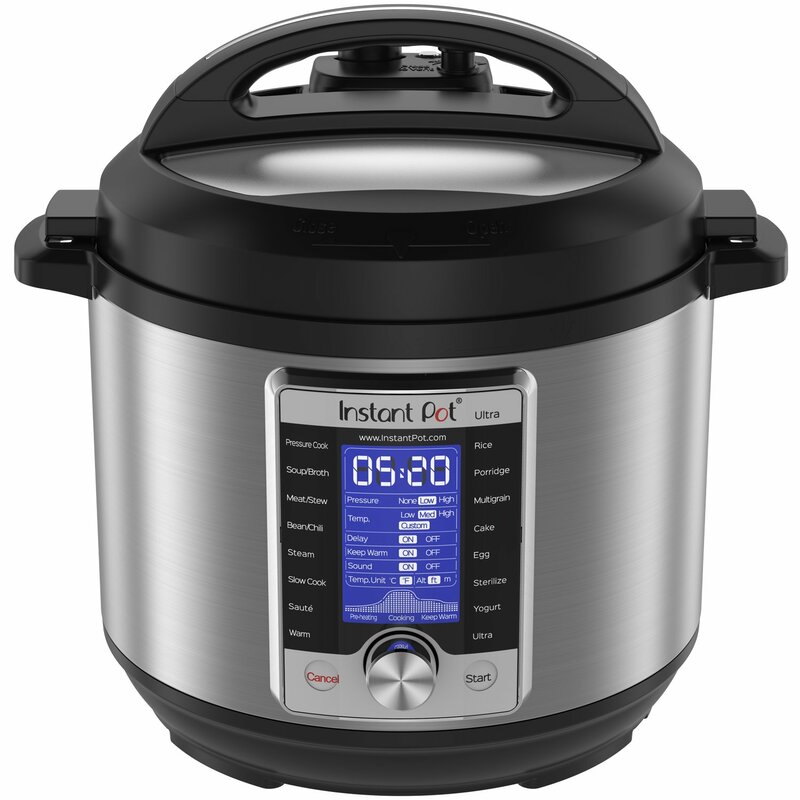 With the Instant Pot Max, you will be able to steam, slow cook, and auto stir food. This will allow you to prepare any number of things, including but not limited to soups, broths, and even yogurt. The Instant Pot Max even allows you to use a cooking technique called “sous vide” in which the chef places their ingredients in a vacuum sealed bag, then putting it in a temperature controlled bath. Max also promises that future versions of this product will have a specific temperature setting optimized for sous vide. These premium features all work in harmony to account for a product that will make your kitchen time a whole lot easier. Now that you have a little bit of surface information on this product, let’s take a quick look at some frequently asked questions. Pressure cookers get a bad rap sometimes. Maybe you have seen a video or two of pressure cookers catching on fire or even exploding. Do you need to worry about that happening with your pressure cooker? Absolutely not. With typical, appropriate use, the pressure cooker is a completely safe tool that you can use without fear. How Long Does The Cooker Take to Come To Pressure? That’s a good question because some people tend to get a little bit confused as to how long this part of the process should take. While the manual may give specific times for how long the cooker should take to get to pressure, the reality is that this will be largely dictated by what you are preparing. For example, cold foods are going to take a little bit longer than warm temperature ingredients. Just be patient. This part of the process will take anywhere from ten to thirty minutes, but after that things will go much quicker. The amount of water that you need to use is another important thing to consider. The Instant Pot Max uses steam to create pressure, and of course, it uses water to create steam. How much water you use is ultimately going to depend on what you are making, but it could be as much as several cups. Do make sure that you use an appropriate amount, as running the pressure cooker without enough water can damage the appliance. Slow cookers and pressure cookers are often lumped in the same category but they do have some differences. Chief among those differences is the cook time. Slow cookers work best for preparing food over long periods of time, while pressure cookers make meals much quicker. Well, as you can see, there is plenty to be said about the Instant Pot Max. While it may be a little bit too soon to see how these features manifest themselves in how the device actually performs, it at least seems safe to say that this appliance is worth paying close attention to. Should you buy the Instant Pot Max? Ultimately that is going to have to be up to you. It is kind of on the pricey side, which might eliminate it as a buying option for some shoppers, but if you do have a little bit of money to spend you may very well find the many features and capabilities of the Instant Pot Max worth the cost.